While much has been written about the 1979 Islamic revolution and its impact on life in Iran, discussions about the everyday life of Iranian women has been glaringly missing. 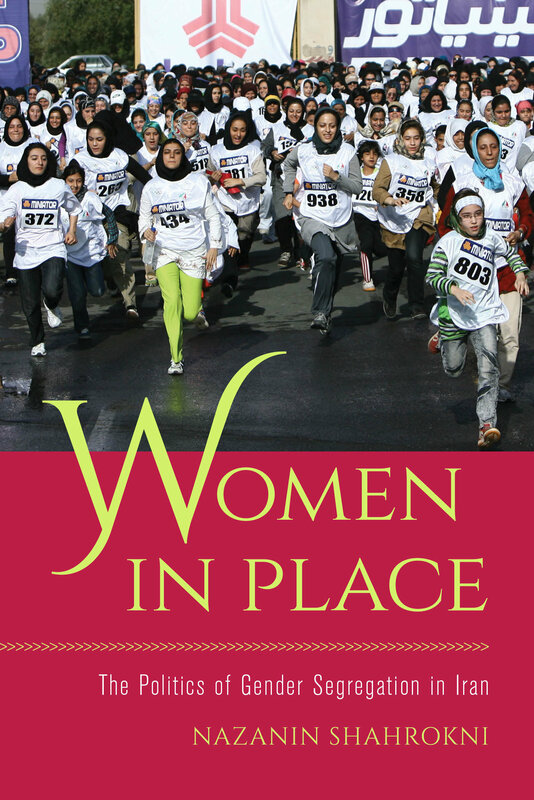 Women in Place offers a gripping inquiry into gender segregation policies and women’s rights in contemporary Iran. Author Nazanin Shahrokni takes us on a ride in gender segregated buses, inside a women-only park, and outside the closed doors of sports stadiums, where women are banned from attending men’s soccer matches. Through a retelling of the past four decades of state policy regulating the gender boundary, Women in Place challenges notions of the Iranian state as overly unitary, ideological, and isolated from social forces, and pushes us to contemplate the changing place of women in a social order shaped by capitalism, state sanctioned Islamism, and debates about women’s rights. Nazanin Shahrokni is Assistant Professor of Sociology at Syracuse University. Prior to her an academic career, Shahrokni worked as a journalist for Zanan, a feminist monthly in Tehran, Iran.